Get ahead of the class with this summer job search to-do list. Prepare for a job search—and your future—this summer. Add experience? Check. Learn new skills? Definitely. Network? That too. 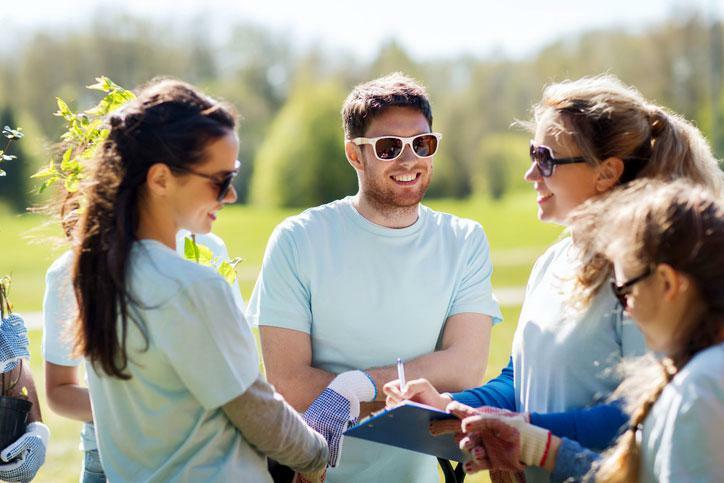 Volunteering at an organization or brand is one of the most productive ways to prepare for your job search. Unfortunately, it's an untapped resource. According to the Do Good Institute, college students make up the smallest percentage of volunteers, with just 26% donating their time to philanthropic causes. Not only is this a bummer for your career and emotional growth, it also means many of these students won't volunteer as adults, which is a blow to charitable organizations that depend on this manpower for support. Tip: Get involved now, and everyone will benefit. Remember those pictures you uploaded from the party last weekend? You’d better double-check that they aren’t public-facing. One wrong impression can cost you the opportunity for a job interview. But a strong social media profile just might lead to a job. If you’re still unsure about what specific industry you want to pursue, there are conferences on topics that are relevant to multiple fields, for instance, sales or marketing. “If you're interested in social media marketing, imagine how much you could potentially learn by going to a social media marketing conference,” says Alex Reichmann, CEO of iTestCash, a counterfeit money product testing retailer in New York City. Looking for a place to start? Check out these 10 must-read books that promise to give your career a boost. It doesn’t necessarily mean daydreaming, though. It can mean coming to terms with what you want out of your career. You might even want to create your own career manifesto, a written declaration of career intentions—a kind of road map for your job search—that can help you stay focused and get ahead. A quick and easy option is to take advantage of Monster's experts. Need some help fine-tuning the details of your resume? Get a free resume evaluation today from the experts at Monster's Resume Writing Service. You'll get detailed feedback in two business days, including a review of your resume's appearance and content, and a prediction of a recruiter's first impression. Think of it as continuing education that can pay off handsomely in the very near future.